Manganese is an essential micronutrient for plants, participating in several metabolic processes – mainly photosynthesis. Of course, an excess amount is toxic. Deficiency symptoms can include: Interveinal chlorosis on older leaves, light green leaves with dead patches ringed in yellow, few flowers or fruit. Interveinal Chlorosis and few flowers/fruit can have many causes, so testing is recommended to determine actual deficiency. Hoagland suggests a Manganese level of 0.5ppm. While higher than the PNEC_Aquatic of 0.246, a review of common Aquaponics organisms suggests that levels <1ppm should be safe. Unless you have a colorimeter, your best bet is the SenSafe Manganese test strips. These aren’t normal test strips, but the directions are clear. $430meter + 50 tests. Uses 8149 Method. Know of a different or better way to test for Manganese in Aquaponics? Let me know in the comments and I’ll update this post. Iron is one of the most common deficiencies in Aquaponics systems. The main symptom of a deficiency is interveinal chlorosis on the newest leaves of the plant. Many other deficiencies cause interveinal chlorosis, so relying on visual identification can be hard, especially for inexperienced growers. I own and use the Hanna Checker HI721. If you use Fe-EDDHA, or Fe-HBED in your system, beware test interference. The YSI MR test is the most accurate test I’ve found. It separates out the Iron Reducer and the phenanthroline reagent, allowing for the photometer to be zeroed in between the two steps. $49.13@Amazon Meter + 6 tests. 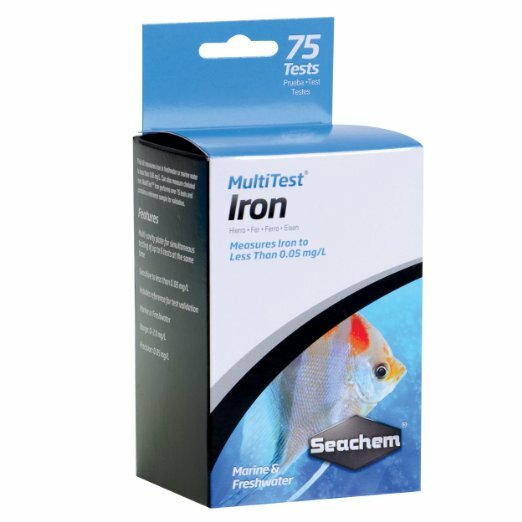 Have I missed an Iron test that would work for Aquaponics? Let me know in the comments and I’ll update this page. This article on Magnesium Testing is part of a series on Aquaponic Water Testing. Magnesium is important for photosynthesis in plants. It forms the center of the chlorophyll molecule. If deficient, plants will begin breaking down chlorophyll in older leaves, leading to the symptom of Interveinal Chlorosis in those older leaves. Beware, Zinc deficiency produces the same symptoms. Ensure your magnesium levels are correct before considering Zinc. If you have interveinal chlorosis in older leaves and your Mg2+ levels are fine, take the time to test for zinc. Hoagland suggests a Magnesium level of 48 ppm. The ratio of Magnesium to Calcium is important as well. 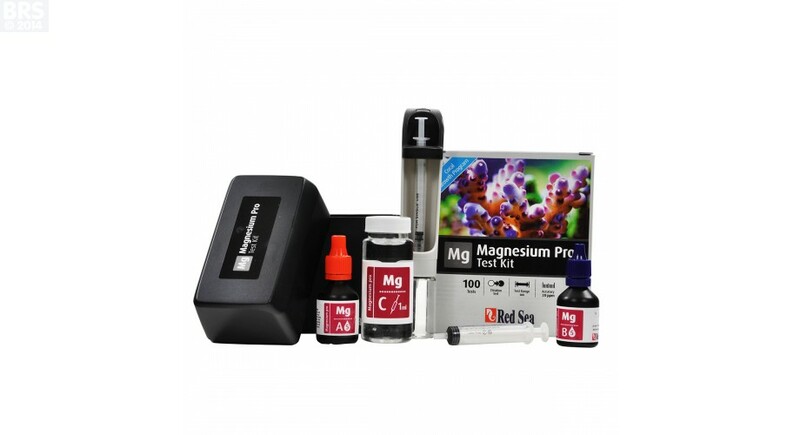 Your magnesium level can be measured, or calculated. Calculation is the traditional method. 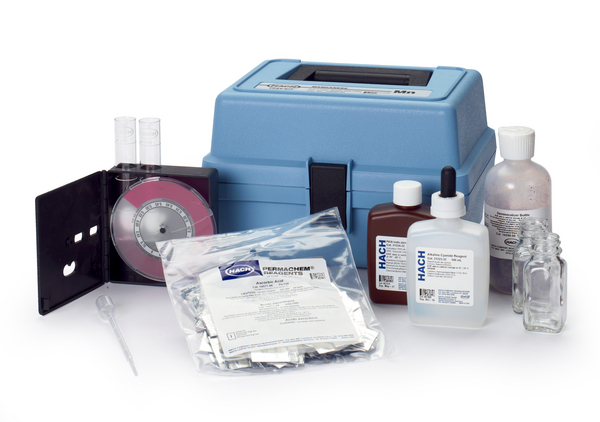 The Red Sea kit is an example of a direct titration, while the YSI Magnicol is a colorimetric test. Total Hardness = Calcium Hardness + Magnesium Hardness + divalent metal hardness. We can safely ignore (and some tests specifically mask out) metal hardness in our tests. That means if we test for Total Hardness and Calcium (or Calcium Hardness), we can calculate Magnesium Hardness. When calculating, your results will only be as accurate as your source measurements. 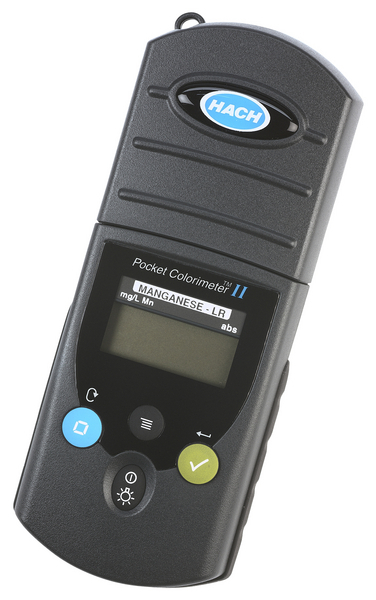 Use a higher resolution method for the Calcium test, such as with the Hach Digital Titrator, or pool chemicals in order to get accurate results here. Most calcium tests give the results in the form of Ca2+. In order to convert that to Calcium Hardness, we multiple it by 2.5. Know of a different way to test for Magnesium in an Aquaponic system? Let me know in the comments and I’ll update the post.